Superb Condition. XLT trim. 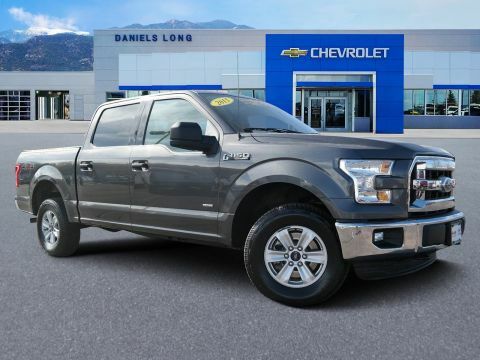 REDUCED FROM $32,299!, EPA 23 MPG Hwy/17 MPG City! iPod/MP3 Input, Bluetooth®, CD Player, Satellite Radio, ENGINE: 5.0L V8 FFV, Alloy Wheels, 4x4, Serviced here, Non-Smoker vehicle, New Tires. AND MORE!KEY FEATURES INCLUDE4x4, Satellite Radio, iPod/MP3 Input, Bluetooth®, CD Player. MP3 Player, Keyless Entry, Privacy Glass, Child Safety Locks, Steering Wheel Controls.OPTION PACKAGESENGINE: 5.0L V8 FFV 3.31 Axle Ratio, GVWR: 3,175 kg (7,000 lb) Payload Package. 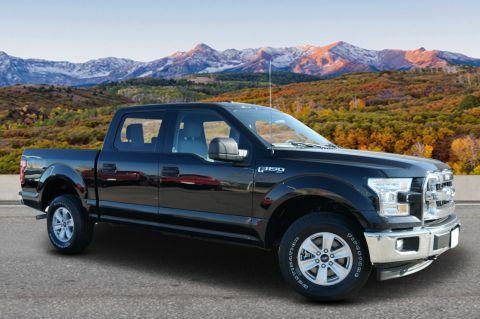 Ford XLT with Shadow Black exterior and Medium Earth Gray interior features a 8 Cylinder Engine with 385 HP at 5750 RPM*. 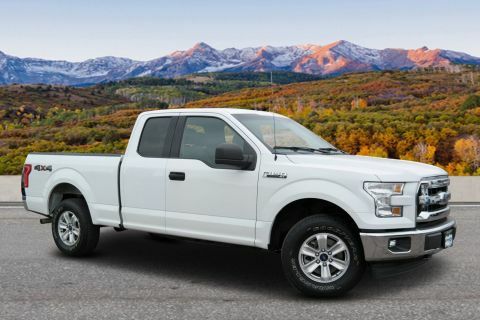 Serviced here, Non-Smoker vehicle, New Tires.EXPERTS ARE SAYINGEdmunds.com explains The F-150 boasts high tow and payload ratings and some of the best fuel economy in the light-duty segment. 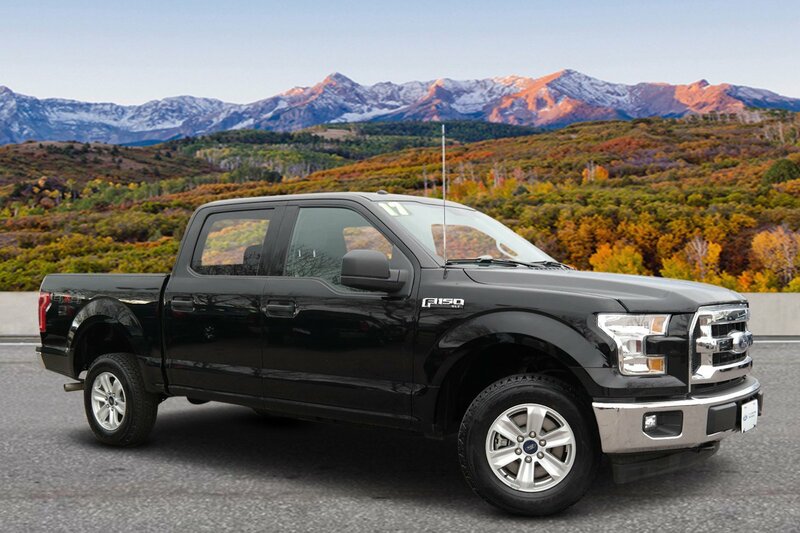 Aluminum body panels and an aluminum bed (rather than traditional steel) help make the 2017 F-150 the lightest truck in its class, too.. Great Gas Mileage: 23 MPG Hwy.A GREAT TIME TO BUYReduced from $32,299.OUR OFFERINGSPrices do not include sales tax, finance charges, costs of emission tests, other governmental fees, or taxes and transportation costs incurred after sale, to deliver the vehicle to the purchaser at the purchaser's request. Vehicle pricing is subject to change without notice based on current manufacturer rebates and incentives and current vehicle market value. Contact dealer for most current information. Vehicle availability is subject to prior sale and system update. Used vehicle price includesHorsepower calculations based on trim engine configuration. Fuel economy calculations based on original manufacturer data for trim engine configuration. Please confirm the accuracy of the included equipment by calling us prior to purchase.Offer is valid through 2019-04-18.